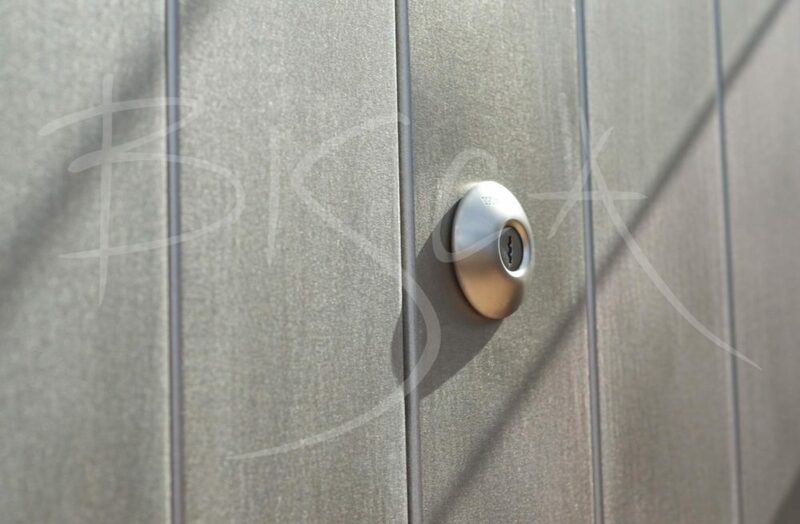 Bespoke steel security door designed with both security and looks in mind. 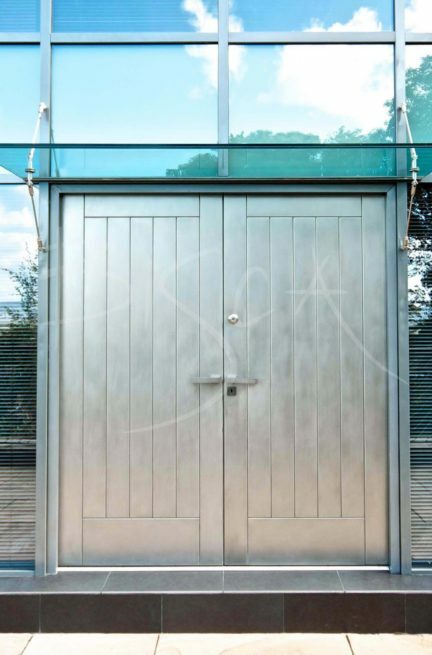 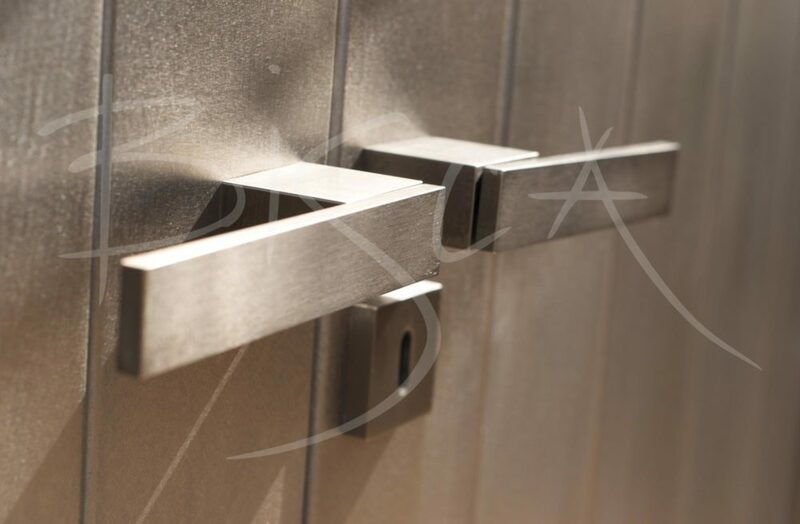 This bespoke steel security door is as beautiful inside as out. 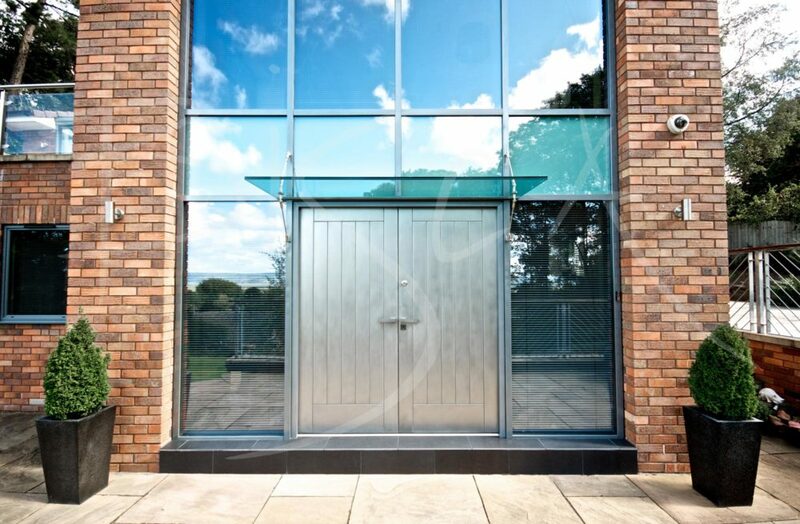 The magnificent doubled fronted entry provides a visual and physical barrier, needing the minimum of maintenance. 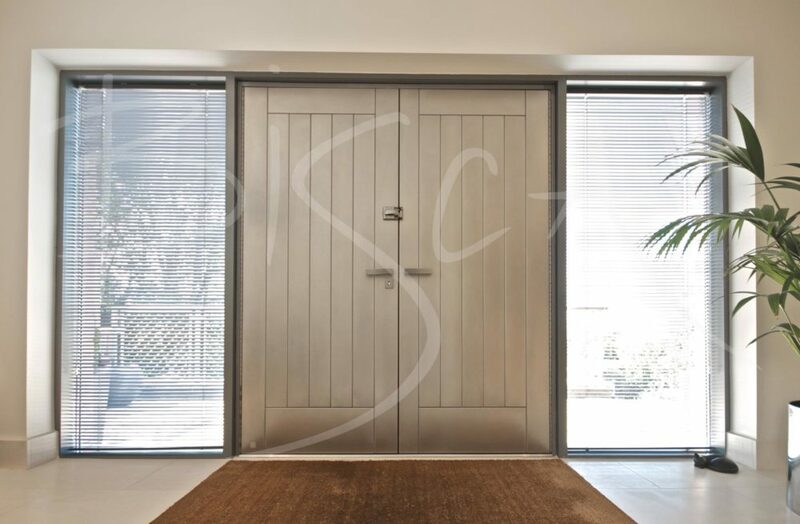 Teamed with contemporary door fixtures and a bespoke canopy, the overall look is one of secure sophistication.